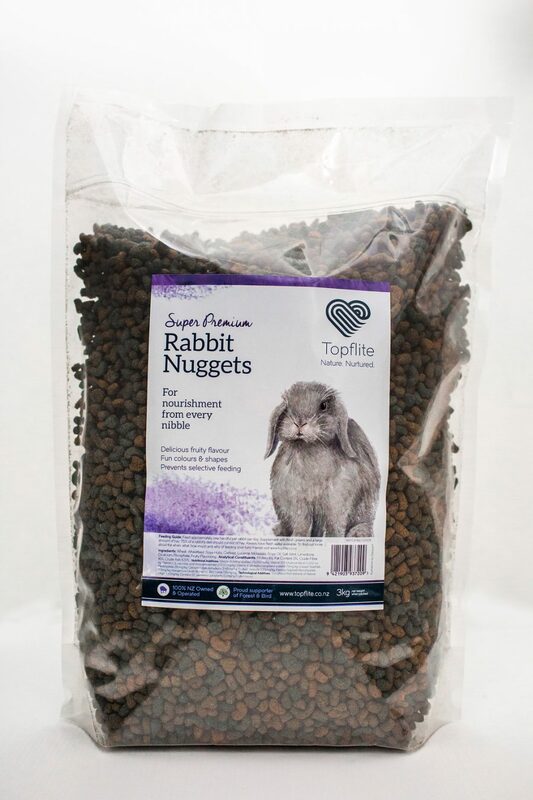 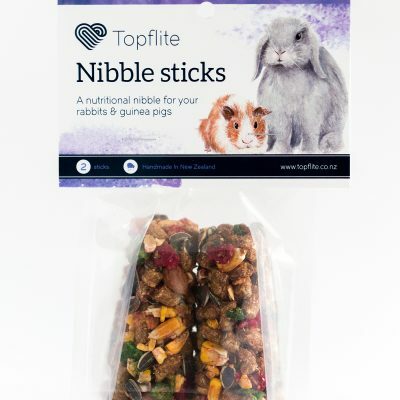 Super Premium Rabbit Nuggets | Topflite Ltd. 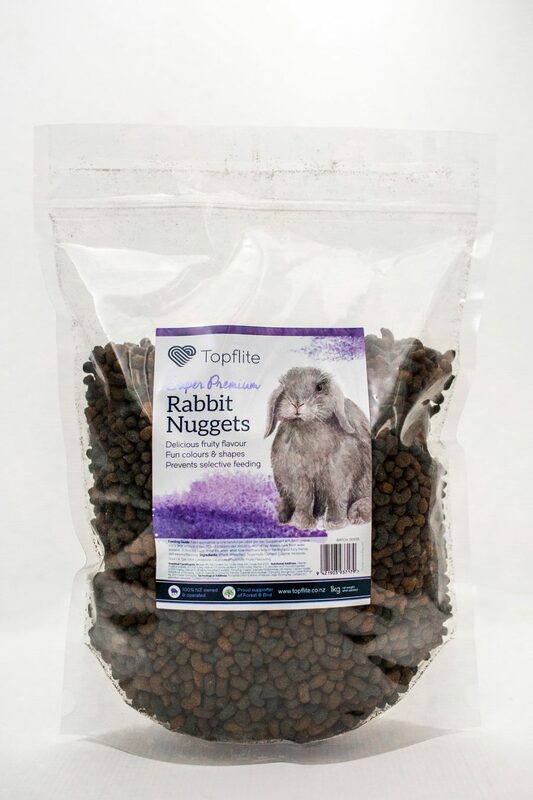 Prevents selective feeding. 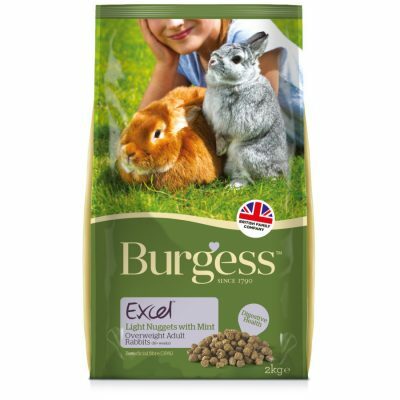 There is a trend away from muesli style products as rabbits tend to selectively feed on the ingredients they like, which can lead to unbalanced nutritional intake. These nuggets provide essential nutritional requirements in one nugget (when fed alongside large amounts of hay). 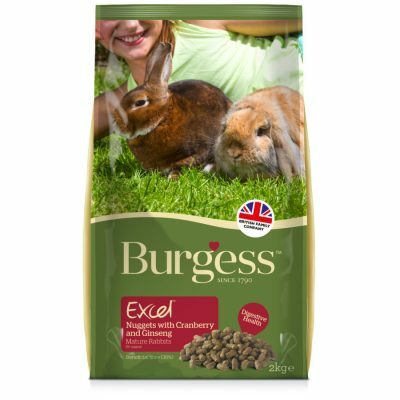 Composition: Wheat, Wheatfeed, Soya Hulls, Oatfeed, Lucerne, Molasses, Soya Oil, Salt, Mint,Limestone, Dicalcium Phosphate, Fruity Flavouring. 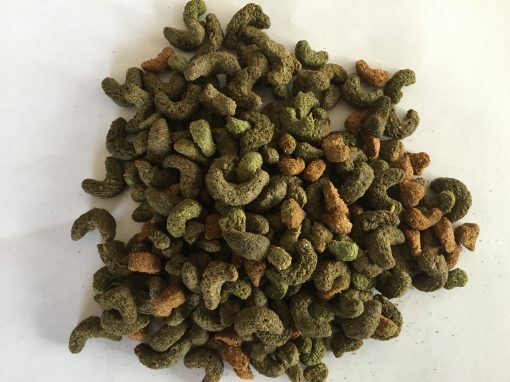 Additives: (Per Kg) Vitamin A (retinyl acetate) (E672) 25,000 iu/kg, Vitamin D3 (cholecalciferol) 2,000 iu/kg, Vitamin E (dl Alpha tocopherol acetate) (3a700) 75 mg/kg, Copper Sulphate Pentahydrate (E4) 28mg/kg, Calcium Iodate Anhydrous (E2) 2.45 mg/kg, Sodium Selenite (E8) 2.22 mg/kg, Ferrous Sulphate Monohydrate (E1) 133mg/kg, Manganous Oxide (E5) 16.1mg/kg, Zinc Oxide (E6) 135mg/kg. Technological Additives: Tocopherol Rich Extracts of Natural Origin (E306), 100mg/kg, Contains EC permitted colourants, Contains Fruity Flavour.